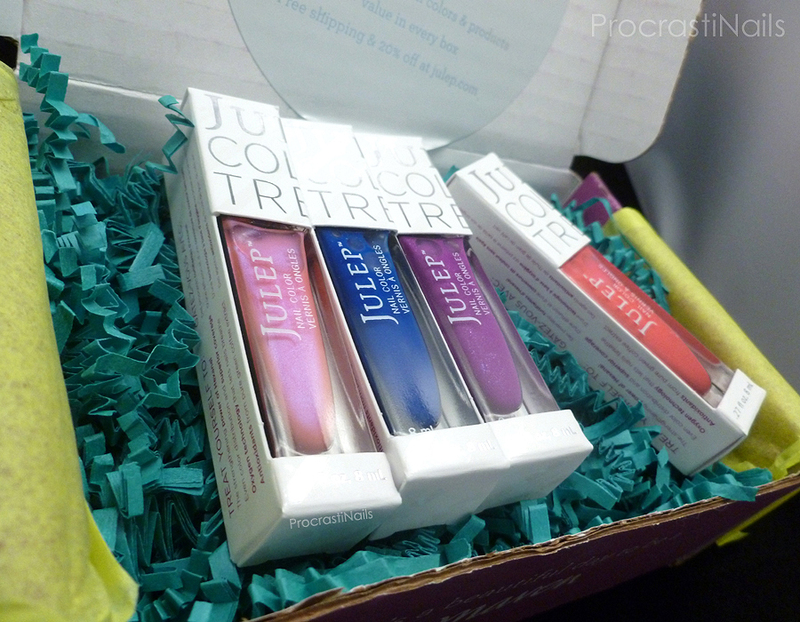 This month Julep introduced us to The Vivid Collection - a selection of fun, bright shades to bring on summer! I love the black and white look they took on for their labeling, and the subtle pops of neon colour they chose are perfect. Love the aesthetic! None of the boxes this month really pulled me in, and I was worried because a lot of the colours in this collection were described as sheers. In the end I went with the It Girl box and added Caitlin (from the Classic With a Twist box) as an add-on. 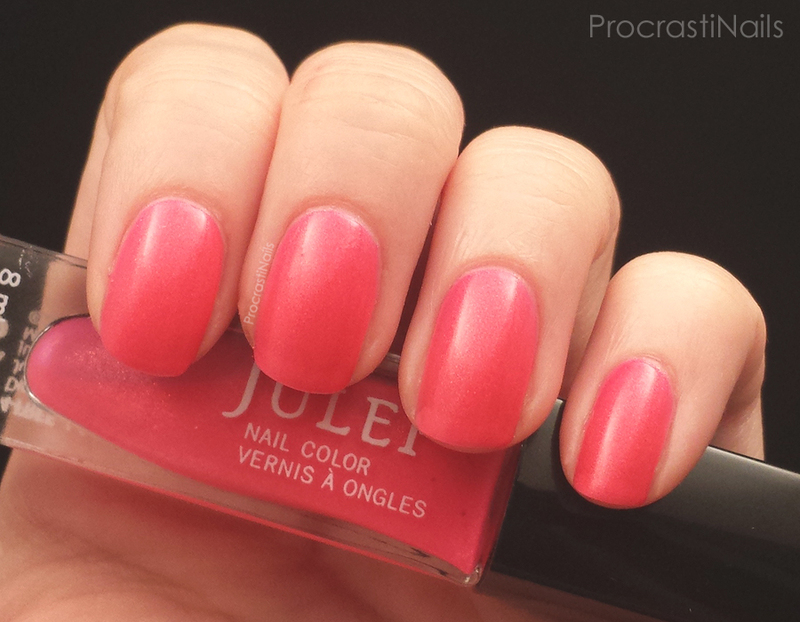 The free gift this month was two hard candies and a BOGO coupon for full priced Julep polishes. The coupon code is PERK2FOR1 and it's valid until May 31st, 2014. The free gifts have been pretty 'meh' this year (aside from Julep Love in Feb). I feel like I shouldn't complain since they're free, but personally I'm getting a bit tired of candy and coupons... Oh well. Maren is described as an "electric bubblegum sheer with blue sheen," and in real life she's a bit brighter than she appears in these pictures. This polish is very sheer though, and what you can see on the nails is actually four coats (and as you can see there's still some visible nail line). This one definitely needs white undies if you want to wear it on it's own as a solid. The consistency of this polish was nice, and I like that there really is a blue sheen that you can see when you wear it (even though it's subtle - you can see it best in the picture below where the polish only thinly coats the bottle at the end). This polish was pretty sheer, and just like Maren it is a polish that will need white undies if you plan to wear it on it's own. Pictured here is three coats and I wouldn't suggest doing any less that since at first it is quite streaky. The good news is that this didn't stain my nails at all (which was a pleasant surprise since I didn't swatch it with a base coat and I was prepared to go at my nails with toothpaste and a brush for a while when I took it off). I think Flora is a really pretty name for a polish! It's described as a "exotic dragon fruit with blue shimmer," and even though there is a shimmer that can be seen in the polish it comes across as more silver than blue. It also reminds me of Julep Bette though I don't think they're dupes because of the difference in colour richness and the shimmer in Flora. Just like the other shades in this box Flora comes across as fairly sheer, and as you can see the three coats pictured here don't remove all traces of visible nail line. The first thing I want to say is that these pictures don't do Caitlin justice AT ALL. 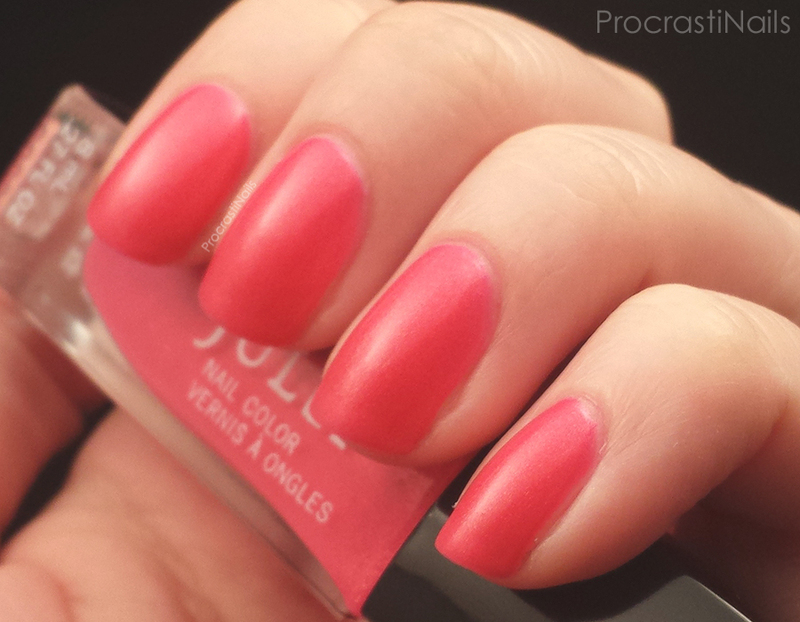 In real life this polish is a gorgeous almost-neon pink, reminiscent of China Glaze Pool Party. My camera isn't capable of picking up bright pinks, and in fact these pictures were taken with my phone (which picks up pinks just a smidge better than my camera). This is one where I'd direct you to the official swatches to get a better feel for the shade. Caitlin is from the Classic With a Twist box and is described as a "shocking hibiscus with gold shimmer" (though again the shimmer doesn't really translate onto the nails as intended). This is the polish with the best coverage out of all the ones I picked up this month, and pictured here is three coats. These colours all applied really well and I liked that they all had a little something extra to elevate them up from the standard Julep crème polish. My main complaint is how sheer the collection was. 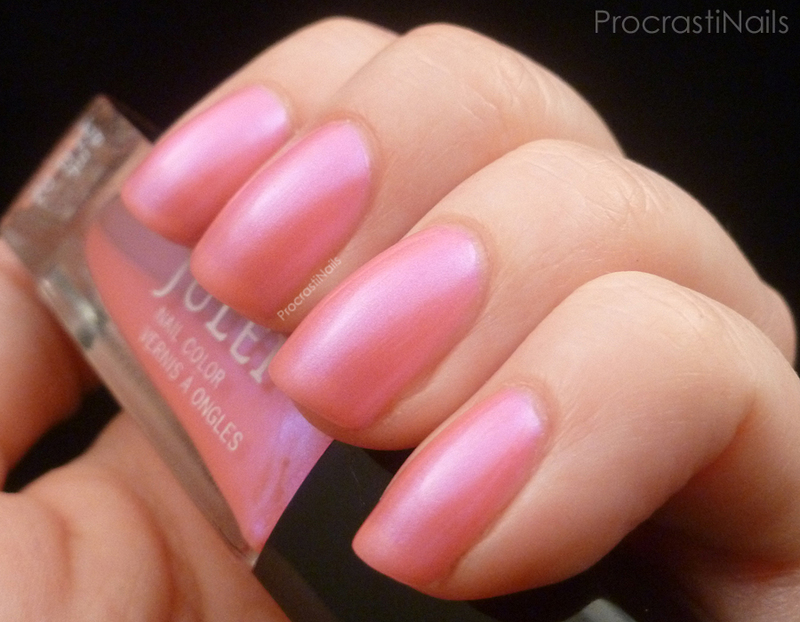 As you know I don't use undies when swatching polishes so that you can get a true representation of what you might be buying, but this was one of those posts where I was really tempted to bend my rules. These polishes retail for $14 each ($11.20 Maven price), and the April boxes should be up in the Jule Box section soon for $19.99. In general the monthly box program is $19.99/month and you get either three polishes, two polishes and full size product, or two full sized products depending on which beauty profile you choose. 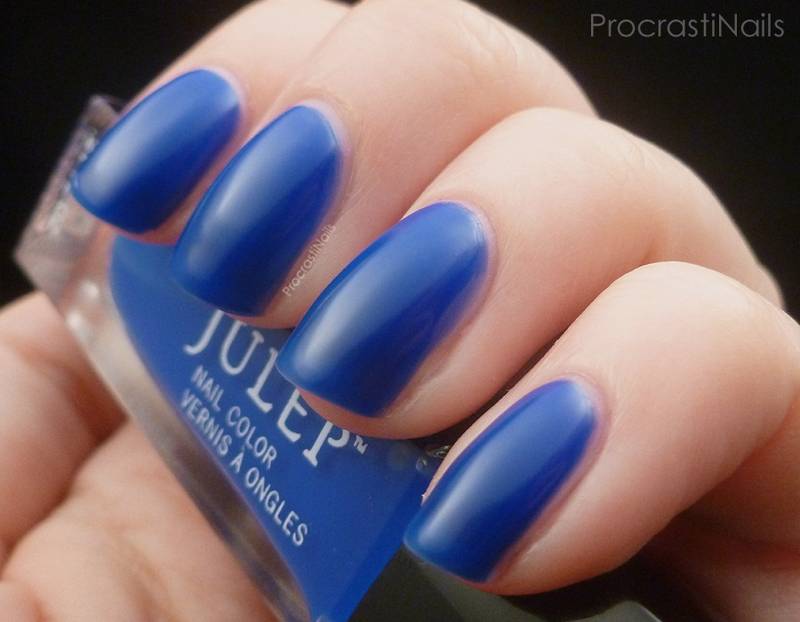 Julep ships to Canada and the US and as a Maven you get free shipping. If you're interested in signing up for the Julep Maven program you're welcome to use my referral link, and remember to use the code FREEBOX at the checkout to get your first month free! Some nice colors in this box that's great for the season right now. Caitlin is definitely the prettiest of the bunch! I got the exact same box as you. At first I didn't like Caitlin but it's growing on me. I think as it gets warmer I'll like it more. It just takes so long to dry!